stands outside the front gate, and is its most famous feature. From the tiny jewel of Chenxiang Ge, I took a single bus south to Longhua Temple, the largest ancient Buddhist temple in Shanghai. Longhua Temple dates, according to legend, to the Three Kingdoms Period (220–280 A.D.) Although many of the buildings are more recently rebuilt, the compound nevertheless maintains the layout of a typical temple of the Song Dynasty (960-1279), which is more likely to be the historical founding of the site. While the compound is large, it used to be larger still; much of its former area is now occupied by the Longhua Martyrs' Cemetery. I encountered one of the highlights before I even entered the gates. 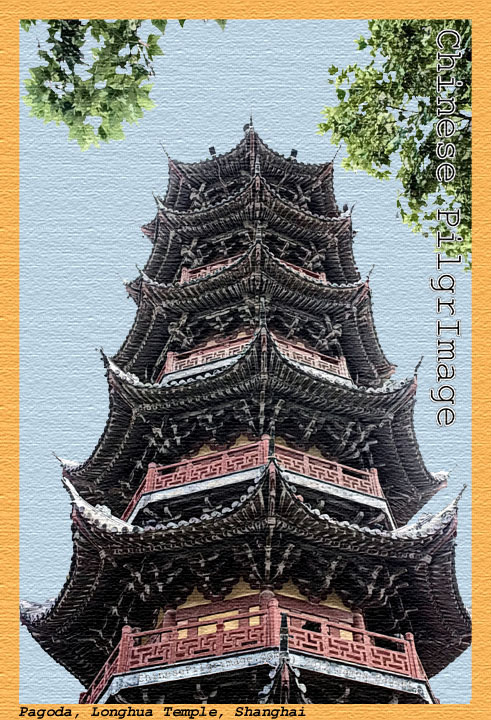 The Longhua Pagoda is the only ancient pagoda remaining in the city; while the foundations may be older, and there have been extensive repairs, the core of the current structure dates to 977. Inside the temple I was delighted to discover that there were no restrictions on photography of the statues--and what statues they are! Three collections particularly caught my eye. 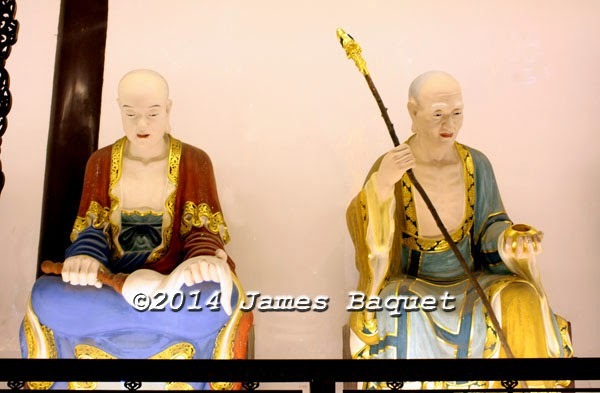 The first were in the 500 Arhats Hall, where foot-high figures of (you guessed it!) 500 disciples are seated around a central figure of the historic Buddha under a tree. 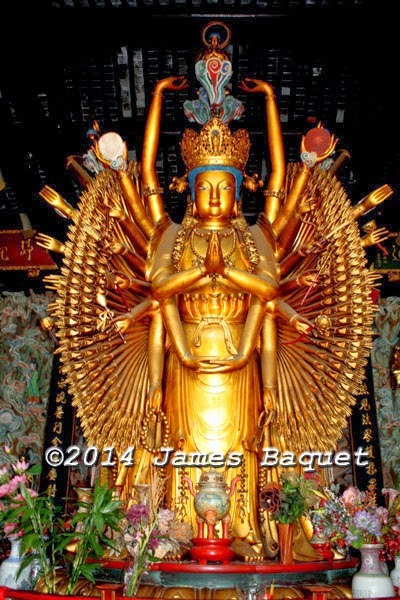 The second was the Thousand-Armed Guanyin, the Bodhisattva of Compassion shown ready to save in a thousand ways, with his/her numerous incarnations gathered around. 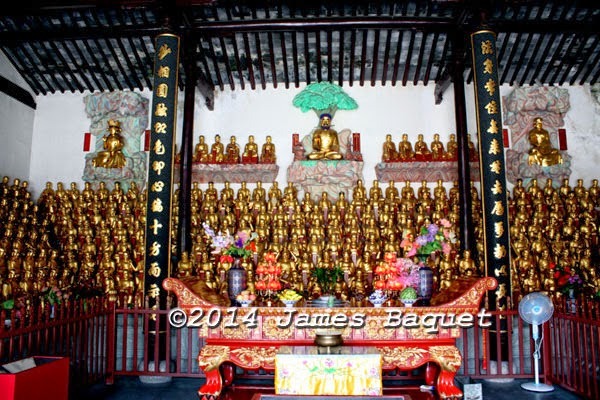 And finally, many life-like figures of deva/gods and patriarchs surrounded the Vairocana Buddha in the Main Hall. 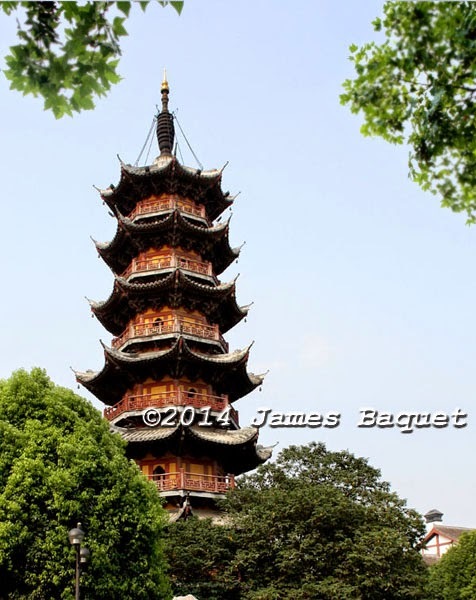 Any one of these would be worth the trip out to the Longhua area; combined, and with the pagoda and some good vegetarian dining thrown in, I'd say this is undoubtedly the best of the Shanghai temples I've seen.